The 1990s were great to superhero-driven cartoons. X-Men: The Animated Series counts as one of Marvel’s more beloved cross-media offerings. Spider-Man: The Animated Series, however, is an oft forgotten gem. One fan aims to keep the show’s spirit alive, though. Youtuber illbedarnd used the animated series’ theme song for a fan-made Marvel’s Spider-Man trailer. Warning: Spider-Man: The Animated Series‘ very 90s theme song is liable to get stuck in the head of all who watch. Spider-Man: The Animated Series launched on Fox Kids in late 1994. In January 1998, the show ran the final episode of its fifth season. For years, it was the perfect Saturday morning cartoon, featuring Peter Parker’s adventures as both a college student and the Friendly Neighborhood Spider-Man. The music for the animated series boasts an impressive pedigree. Aerosmith’s Joe Perry was responsible for the theme song’s guitar performance. Shuki Levy, who composed music for Inspector Gadget, She-Ra, Power Rangers, and several other childhood favorites, wrote the song. With the emphasis Insomniac Games seemingly places on Peter Parker in Marvel’s Spider-Man, it’s fitting that a fan drew parallels between it and the 1994 animated series. Here’s hoping this theme song pops up somewhere in the game itself. Since Walt Disney Co. owns the series, this notion does not seem too far fetched. 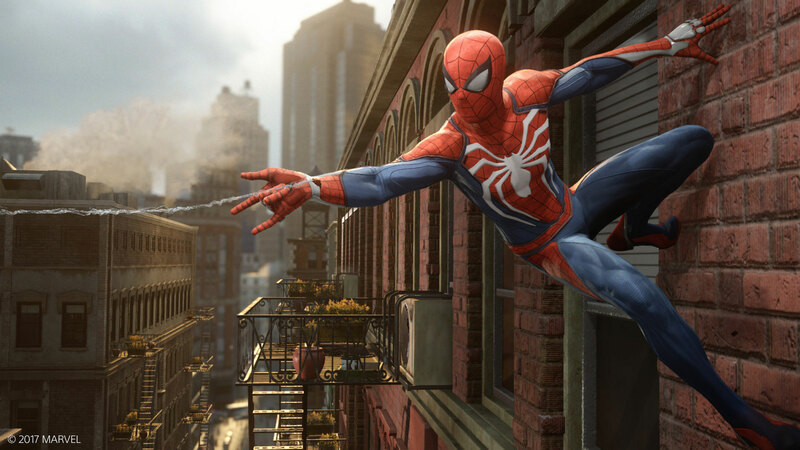 Regardless of whether the 90s theme makes an appearance, Marvel’s Spider-Man arrives on the PlayStation 4 on September 7, 2018.